To return to projects and visit people again has a wonderful relaxing deja vu. The memories from last year are often so clear – the places and people having been captured in my notebook, on camera and as unusual special memories. So to see the progress at the community garden in Dursley was a lovely experience. Last year the garden was a concrete pad with rubble, and a whole series of dreams and diagrams. Now there are planter boxes made from recycled crates, a shed, a polytunnel, fruit trees, flower beds and poles for a performance stage area to be built. Vanessa has some fascinating insights about bees. 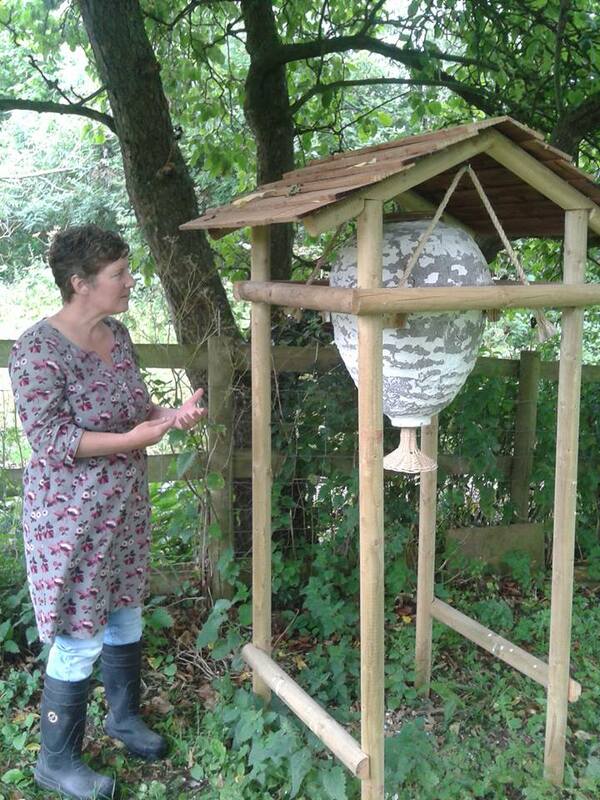 A natural beekeeper for many years, Vanessa focuses on the natural ecology and well being of the bees and encourages not just honeybees but many other species including solitary bees. She does not prevent her honeybees from swarming as she views it as an important part of their life cycle for maintaining their health. Instead she anticipates where bees may swarm to and provides lots of baited hives for them to move to. When a swarm leaves a hive, interestingly they take almost no varroa mites with them. When bees are stressed by the use of chemicals, frequent hive opening or being fed sugar syrup instead of eating their own honey, they can become unhealthy and susceptible to disease. When they do get ill the hive can become dirty and attract varroa mites. Vanessa’s latest hive, a sun hive, is intended to mimic the natural preferred habitat for honeybees. “Bees like to be up high,” Vanessa told me, “if you see a swarm naturally they’ll almost always be much higher up in a tree where it’s less damp, rather than on the ground for our convenience.” Then there is the shape – honeybees prefer round spaces and the queen will naturally gravitate towards the top of the hive, so the sun hive allows that to happen by not using a queen excluder. Vanessa was dismayed that beekeeping clothing on the market is very expensive and made in sweatshops so she also now runs a business, Buzz, selling beekeeping supplies which she has carefully sourced herself. A year on from when I first interviewed the Avalon Community Energy (ACE) group, they’ve made some great progress. Their proposal for a local renewable energy park now has a site, which will have an anaerobic digester, and this weekend they launched their share offer so local people can now invest in the project. Starting with solar panels, the group will be gradually expanding and installing different renewable technologies and food production so that they compliment each other and form a resilient and diverse range of energy generation for the local area. 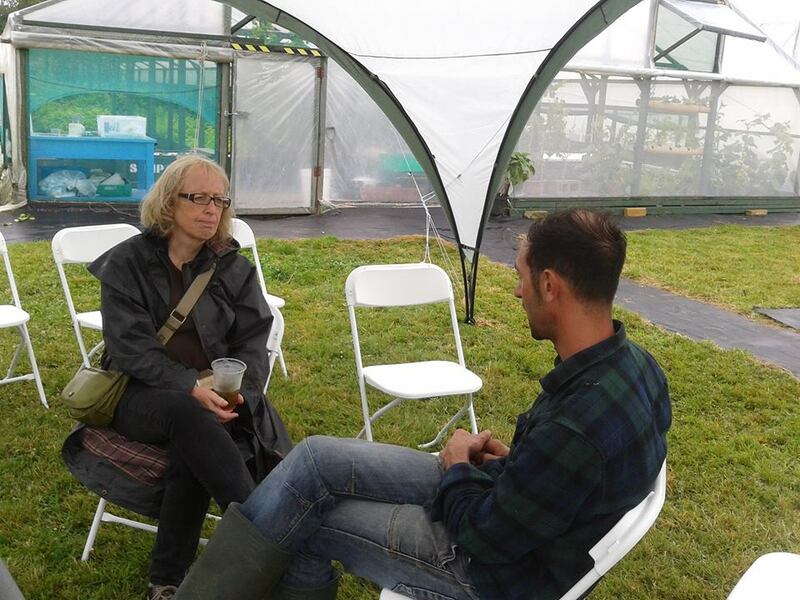 As part of the future plans for ACE, the group is considering aquaponics so I joined Maddy from ACE on a tour of bioaqua farm, where co-founder Antonio was generous enough to share his time and advice with us. 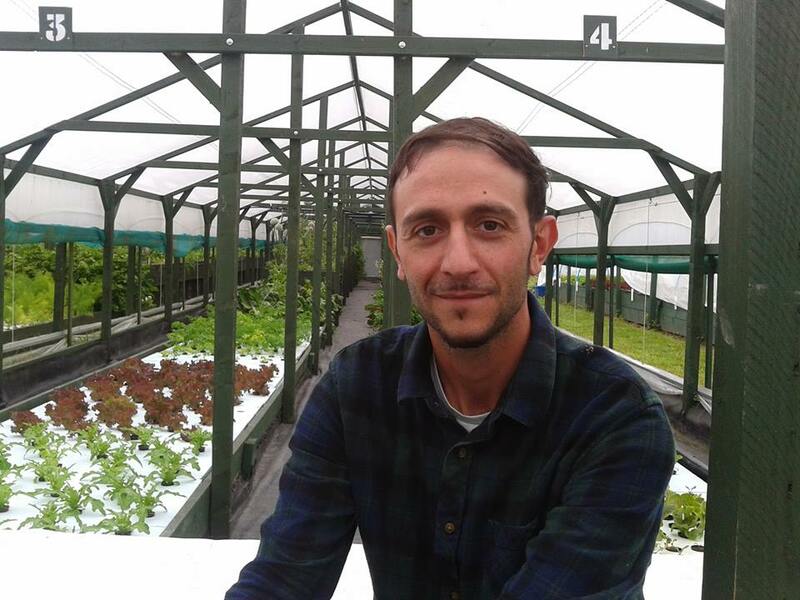 I asked Antonio about the difference in nutrient content between hydroponics (plants in a water based system) and aquaponics where the plant nutrients in the water system come from fish which are farmed on the site.